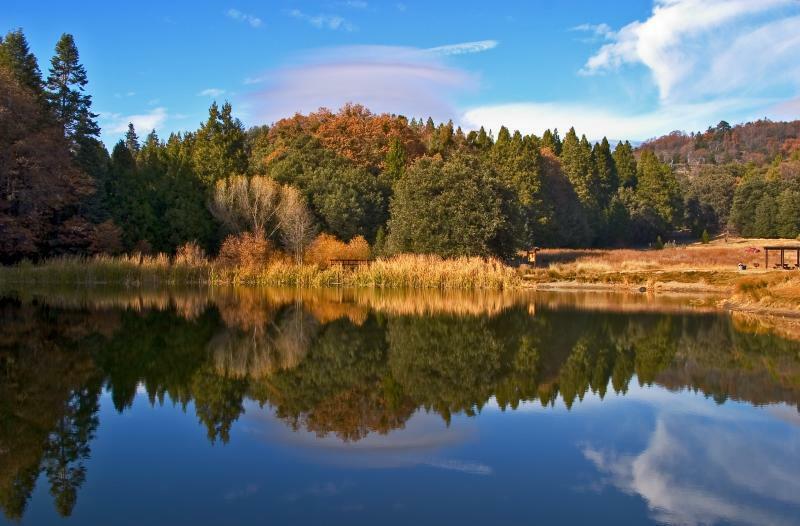 Doane Pond is a small trout fishery located on Palomar Mountain about 65 miles northeast of downtown San Diego. It is open year-round, daily and operated as part of the Palomar Mountain State Park. It is stocked with trout from the California Department of Fish and Wildlife, but not as regularly recently as in year’s past. At over 5,000 feet in elevation, Doane freezes over in the winter, so typically trout stocks occur in spring and can occur into the summer. There is no other viable fishery at Doane, so it should only be fished following trout plants. There is no fishing permit required at Doane Pond, but a day use fee of $8 per vehicle is charged for entering the State Park. A California State Fishing License is required for anglers 16 years of age or older. There is no size limit on trout, but a total bag limit of 5 per angler is enforced.